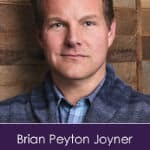 “Healing From Within” is a radio series designed to encourage self-investigation, soul awareness, and self-mastery of emotions, thought processes of the mind, and how they inform the physical body for greater health. Sheryl Glick, Reiki Master Teacher, Energy Practitioner and Medium, with authors and leaders in the fields of science, medicine, psychology, spirituality, metaphysics, alternative healing modalities, spiritual communication and the arts share their vision and perspectives for a multi-dimensional view of transformation and evolution. 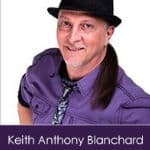 Each show offers ways for listeners to align their inner essence with their daily physical life for the purpose of promoting positive experiences. Such results affirm the individual and are reflected as well in healthier group interactions. 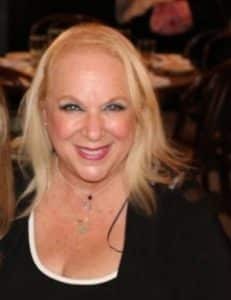 BIO: Sheryl Glick, a New York-based accredited energy healer and medium, offers individual and group sessions and teaches psychic spiritual development. 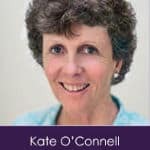 She is the author of Life Is No Coincidence, The Life and Afterlife Connection and has worked with prominent speakers and visionaries who are seeking to awaken us to greater self-awareness of our inner soul being and our physical life. Sheryl Glick is the host of Healing from Within, an internet radio show that explores the many facets of universal energy healing and the aligning of our physical and inner being for a complete, healthy and dynamic human experience and to encourage the most loving ways for us to reach out to each other as we develop into more civilized and conscientious human beings. The show and leading authors in the field of spirituality, energy medicine, science, religion and the arts, can be heard on Sheryl’s website, www.sherylglick.com , and Dreamvisions 7 Radio Network on Wednesdays and Thursdays 9:00am/9:00pm. Over one hundred shows are available in the archives. 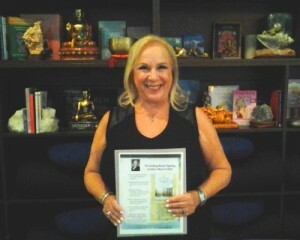 Sheryl is currently working on her new book, Whispers from Spirit –Conquer Fear to Create Divine Desires. The book will be published by SelectBooks of New York and will be available for distribution late 2013 or early 2014. She opens her mind and heart to channel the most joy in her own life and to help awaken in others a higher view of the life experience through shared coincidences, synchronistic happenings and miracles. Sheryl taught in New York City schools. She holds a BA and MS in Education/Literature. She is a member of the International Association of Reiki Professionals, the International Spiritual Federation and a longtime hospice volunteer.